When you are thinking about the subject of estate planning, the matter of asset transfers will be front and center. It is definitely important to take the right steps to get bequests into the hands of your loved ones in the best manner. There are a number of approaches you can take, and this is why you should discuss your options with a licensed estate planning attorney from our firm. This being said, there are some other matters to address when you are devising your estate plan. In addition to what will take place after your passing, you should also address the end-of-life issues that many people face and take the appropriate steps to prepare yourself and your family. The Social Security Administration has a life expectancy calculator on its website. If you plug in the numbers to find out the anticipated longevity of somebody that is turning 67 on this day, you will find that it is 85 years for a man, and 87 for a woman. Depending on the exact year of your birth, you become eligible to receive a full Social Security benefit when you are between 66 and 67 years of age. 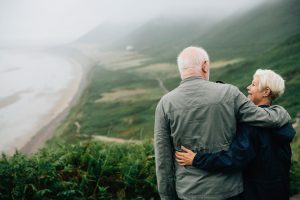 The vast majority of people expect to live long enough to collect Social Security, and if you do, it is likely that you will experience life as an octogenarian. According to the Alzheimer’s Association, approximately four out of every 10 people that are 85 years of age and older have contracted the disease. When you combine the longevity figures with this rather unpleasant reality, a clear picture emerges. And of course, Alzheimer’s disease is not the only cause of incapacity. If you do nothing to prepare for possible incapacity late in your life, and people close to you feel as though you can no longer handle your affairs, they will likely have to petition the court to appoint a guardian. This individual would make necessary decisions for you, but there are drawbacks that go along with a guardianship proceeding. First, the need for a representative can be immediate, but the process can take some time. Second, the individual ultimately chosen by the court may not be the person that you would have chosen yourself when you were of sound mind. Plus, in some instances, family members will disagree about who should act as the guardian. You can make your own decisions in advance and prevent a guardianship proceeding if you include an incapacity planning component within your broader estate plan. One of the documents that you should execute is a living will. This is used to state your preferences regarding the use of life sustaining measures if you cannot communicate and there is no hope of recovery. A living will is an advance directive for health care, and another important advance directive is a durable medical power of attorney. In this document, you name someone to make medical decisions on your behalf if you are unable to make those decisions. In order for the representative to have the information needed to make sound choices, you should include a HIPAA release form. 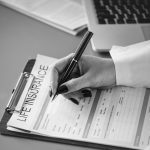 That covers the health care side of things, and when it comes to financial matters, you can add a durable financial power of attorney to name a representative. The “durable” designation is important for both of these incapacity planning documents because a power of attorney that is not durable stops working if you become incapacitated. If you are on this website, you have been looking for information about estate planning and elder law. There are a lot of the written resources to take advantage of on our site, and we encourage you to check them out. Plus, we offer elder law and estate planning seminars on an ongoing basis. There is no admission charge, but we do ask that you register in advance so that we can reserve your seat. To see the schedule and obtain registration information, visit our seminar page.